Christiana Agbo had the room’s attention. 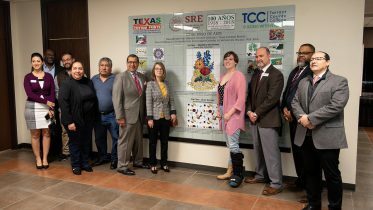 She stood before the American Chemical Society meeting, presenting the results of research she conducted as a student at Tarrant County College. The room was packed with 100 scientists, who listened carefully as Agbo discussed the new process she developed for determining the alcohol content of beverages. That’s not a surprise; Agbo is used to being ahead of the curve. Her journey began half a world away, in her native country, Nigeria. At the age of 14, Agbo began an entirely new life when she immigrated to the United States. The assimilation process wasn’t easy. Undeterred, she continued on her path, knowing her next step would be to get a college education. 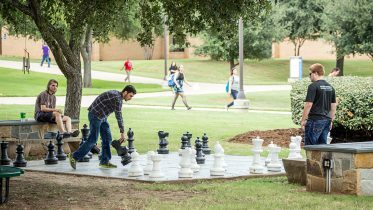 She explored universities but decided to first enroll at TCC Southeast, where she was already a dual credit student. TCC’s affordable tuition opened doors for her; saving money was important in a family with seven children. 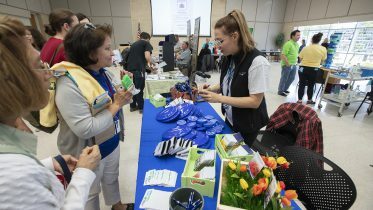 Her academic achievements netted her a TCC Foundation scholarship, and to cover other costs, she worked two jobs during the academic year and three jobs during the summer—including as a peer leader, teaching assistant and hairstylist. With her eye on medical school, Agbo spent countless hours in TCC’s resource centers and took advantage of her professors’ office hours to ensure a thorough understanding of her subject areas. “It made me learn that there is always help as long as you seek it out and ask questions,” she said. Agbo succeeded, and quickly. After just one year, she earned her Associate of Arts. One year after that, she added an Associate of Science in chemistry to her résumé. In addition to giving her a solid undergraduate foundation, TCC gave Agbo a sense of belonging. She served as president of the International Student Organization, vice president of leadership for Phi Theta Kappa honor society and treasurer of Mu Alpha Theta mathematics honor society. Agbo’s co-curricular activities helped her hone the leadership skills that came naturally to her. As part of Phi Theta Kappa, she traveled to conferences and networked with peers across the state and country. In addition to seeking out campus organizations that supplemented her coursework, Agbo enrolled in the College’s Academic Cooperative class, which gives students hands-on experience in academic research. Her achievements aren’t a surprise to Gilchrist, her faculty mentor and research partner. Agbo learned to read scientific literature and adapted published methodology to design a new research project, which focused on using nuclear magnetic resonance spectroscopy to more quickly and easily measure a drink’s alcohol content. She hopes her work will make people more aware of what they’re drinking and ultimately reduce drunk driving. Her research had another lasting impact—it gave her the opportunity to apply for and win the Louis Stokes Alliance for Minority Participation (LSAMP) Fellowship. 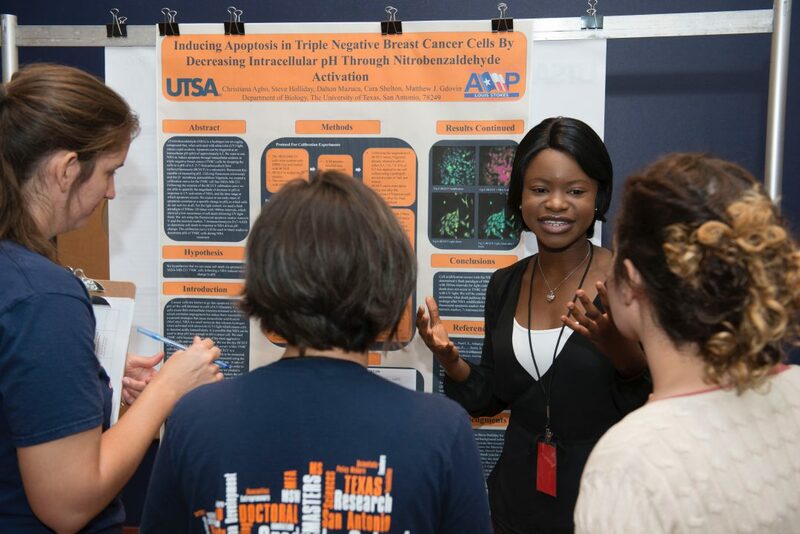 Agbo spent the summer of 2017 at the University of Texas at San Antonio (UTSA) working under the mentorship of Matthew Gdovin, a professor in the UTSA Department of Biology, on developing a cancer treatment more targeted than chemotherapy. Agbo gave her all to the project. Agbo is anticipating her first professional publication in connection with her LSAMP Fellowship research. She also recently presented the results at the University of Texas System LSAMP Fellowship Undergraduate Research Conference, earning first place in the sciences division. Impressed? So was Cornell University. The Ivy League institution awarded her a full scholarship, and Agbo transferred to Cornell this fall. Today, at the age of 18, she is a junior majoring in biological sciences, with concentrations in neurobiology and behavior. Agbo’s goal is to become a physician to improve the quality of health care in her home country of Nigeria and in underdeveloped countries. Her success is a testament to the power of hard work. “If other students use Christiana’s story as inspiration for their own lives, it is important that they realize just how much hard work Christiana put into her studies and her transfer applications to reach where she is now,” said Duesman. Agbo credits the lessons she learned from her family for her drive and persistence. 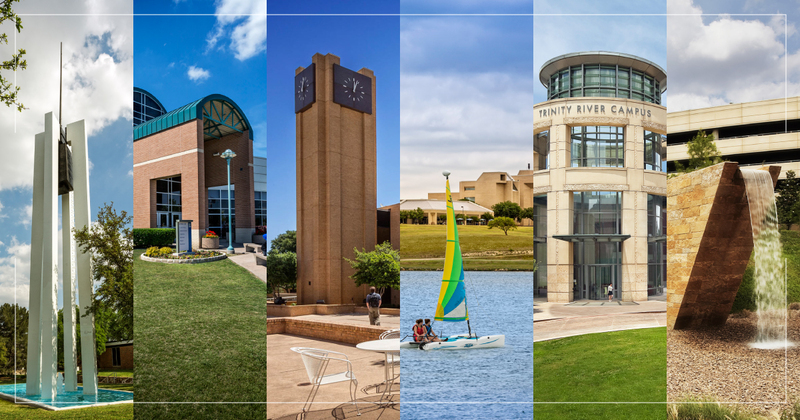 This story is the latest in a series celebrating members of the TCC community who don’t let challenges stop them. Follow these links to read previous features: Salma Alvarez, Celia Mwakutuya, Jessica Caudle, Ken Moak, Melora Werlwas, Kevin Douglas, Marine Creek Collegiate High School students, students in atypical careers, Tre’Zjon Cothran , Karmin Ramos, Anthony Smith, Ashley Calvillo and Lance Lambert.